half Jewish? whaddya mean, half Jewish? It’s a funny thing. My dad was Jewish. But it’s the mother’s Jewishness that renders any children Jewish. So I’m half Jewish, but on the “wrong” side. It means, broadly, that Jewish people probably wouldn’t see me as properly “one of them”, but then Gentiles also, when they find out, see me as “different”. Herod, also, was Jewish on his father’s side. The same applied to him, all those years ago. I wasn’t brought up Jewish. No synagogue, no candles on a Friday night, no seder night. But we did learn from my Dad a couple of Jewish prayers, and he used to say that more business was done in schul than in the week. Mum used to make some lovely Jewish recipes – passover pancakes for one. Must dig that out and make it again myself. Dad had rejected his Judaism as a young man. His mother and father had died within a year of each other. A Jewish custom is to commemorate, on the anniversary of a death, that person. It’s called Jahrzeit. The synagogue he then attended (probably the main one in Birmingham in Blucher Street, known locally as Singer’s Hill) was being redecorated when Jahrzeit came round for his dad. So, instead of holding the ceremony in another synagogue (which would be more liberal), they held it in a cloakroom downstairs. Dad said there were coat pegs sticking in everybody’s backs and necks. He felt that a religion which could disrespect the dead like that wasn’t worth a candle. No pun intended. So he gave it up. But never stopped being Jewish. He had a bowler hat he would never wear because it made him look “too Jewish”. He would do a “Jewish” face. He had to have his nose altered because it was so long he couldn’t leave a cigarette in his mouth without it burning the end of his nose. He was brought up Jewish. Fairly kosher, but not very very strict. Two sets of crockery and cutlery (one for milk, one for meat). A mezuzah on the door (a little tiny box with a small quotation from the Torah). They went to schul on a Saturday. Dad was the youngest male member of the family, so he got to “ask the question” on a seder night (Why is this night different from all other nights?). I can actually say it in Hebrew but don’t know how to spell it in English. His family fled Spain in the Inquisition, to Poland. Dad traced his family tree back that far, to the 15th century. Amazing. The family name was probaby Anglicised to Gordon from something like Gould, or Gold. Anyway, this is all just burbling about Dad. My Jewishness – well, it seems to me that it’s much more about tradition than anything else. I have read a trilogy of books by a Jewish author, all about Judaism, including one character who’s a convert (a whole can of worms there! ), and I felt strongly that tradition was much important than any God. Then of course there’s the “thing” about whether one is a Jew, or Jewish. I was always taught that you must never say He’s a Jew, you must always say He’s Jewish. So when I hear somebody say, for example “you mean you’re a second generation Jew? !” – which has actually happened to me – my stomach knots up. I was having this discussion with my better half on Saturday, and he said “well, your Dad was a Jew” and I had to tell him it makes my guts churn to hear it said like that. It feels like an insult, like it’s something not nice. But Jewish seems to convey mild, ordinary respect . I also had somebody once say that the Jews were responsible for the Holocaust. I was shocked. Why? How? Because they were the only people prospering in a recession. What? What ? ? So, then, that means they should be treated like animals and massacred in the millions? I think not. So that’s a conversation I am not having with that particular person. It’s just too raw and difficult. At the beginning of “Fiddler on the Roof” there’s a song as introduction to life in the shtetl. The chorus is “Tradition”. The lyrics are questionable “and who does mama teach to mend and sew and fix? The daughters!” and so on. But the most interesting line comes when Tevye (Topol) says “And who started this tradition? I’ll tell you. I don’t know”. Hmm. Interesting. I think any God or any religion at all is just a construct. We just made it all up. It was natural and understandable hundreds and hundreds of years ago, when we just didn’t have the knowledge or the science to understand the wonderful phenomena of nature, to invent a supernatural being (or several) to explain it all. But now we do have the knowledge and the science. And the evidence, importantly. And religion, in my head, seems to be the excuse for all sorts of repression and violence and cruelty, particularly to women. I’d like, during my short life, to make a small difference, to try and be kind. I don’t go around stealing, looting, robbing and generally being awful any more than anybody else. Not because of religion, but because human nature is basically good. The bits of human nature that aren’t good, like, for instance, selfishness, I fight against and try to overcome. My main “sin”, however, is chocolate . . . I do “feel” Jewish, though, despite my non-religiousness. I wonder if this outpouring has anything to do with Holocaust Memorial Day, and the fact that I’m reading Christopher Hitchens’ “Hitch 22”, where he tells us how he accidentally discovered that he also had Jewish roots. And there, I’m going to stop. For now. The snow lasted a long time. It’s still quite deep outside in the garden, but the gritting lorry actually came down our road today! how wonderful! They do the main roads, bus routes and motorways first, of course, but now they’re doing the side roads too. Excellent. 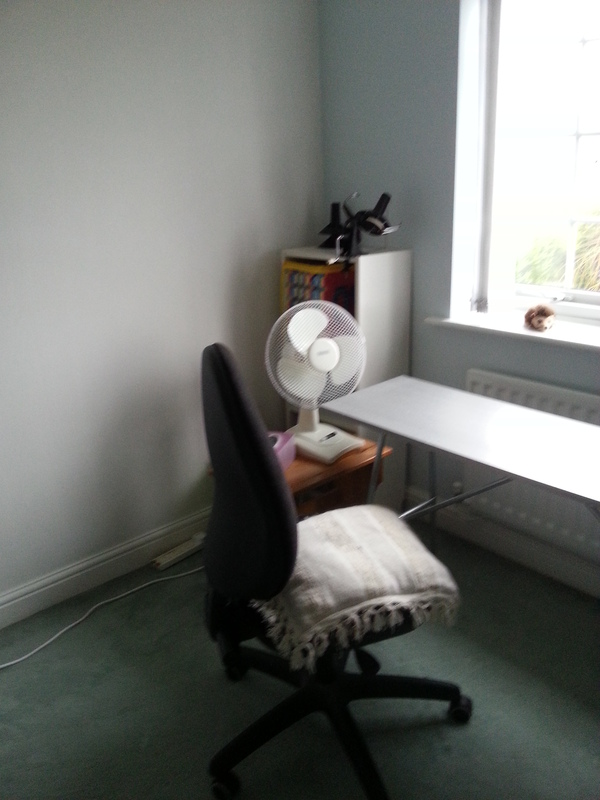 The craft room is now finished and in use. I’m so pleased with it. 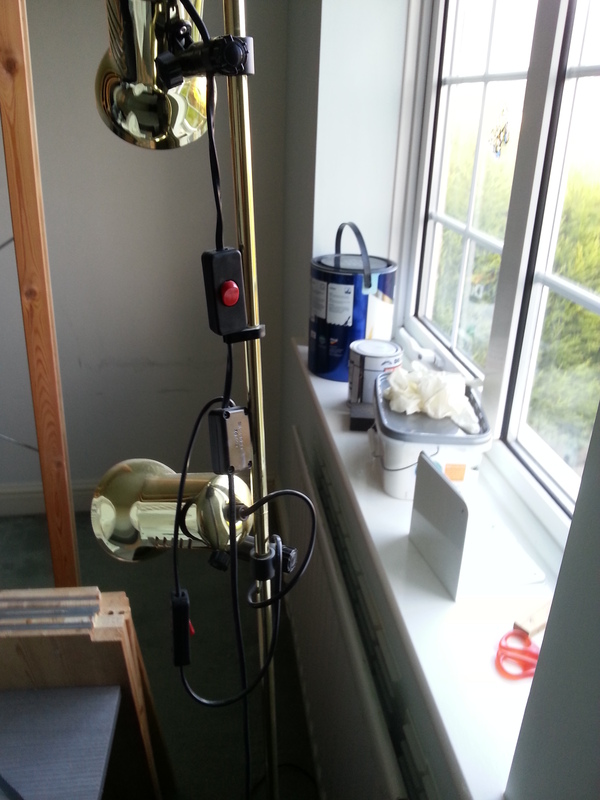 The light is very good, I’m able to leave my sewing machine up if I know I have more to do with it, and the storage system is absolutely perfect. It was a long time happening, and the selling of the old stuff was really much harder than I thought it would be, but all worth it in the end. And there’s lots more room downstairs now because all my boxes and files and things are upstairs in the proper place! 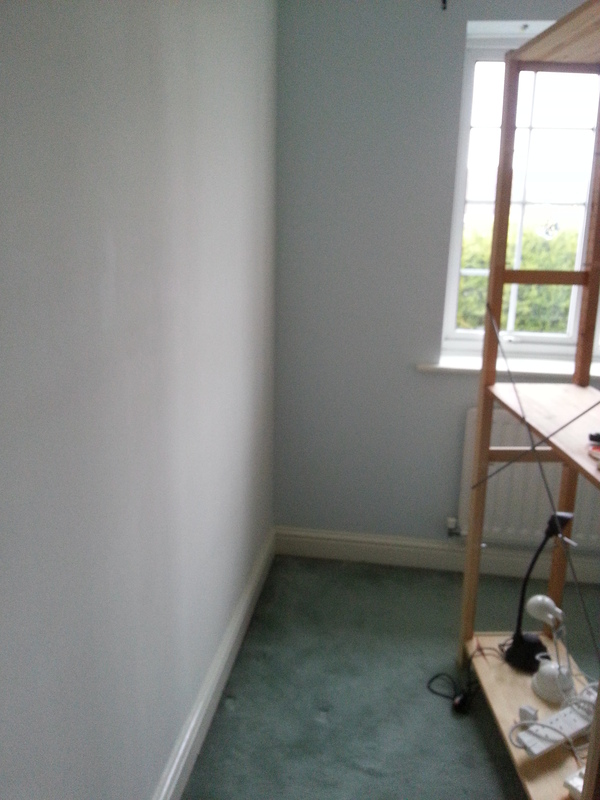 it will make a lovely spare room too because there’s a sofa bed in there as you can see. Hubby is currently out in Solihull, helping to get a petition signed about the NHS reforms. It’s a bit cold to be doing that really and he is chilled when he gets home, but a nice hot cup of tea seems to help. New mattress topper. Now I have a mattress and two mattress toppers. I did before, actually, but the egg-box one had died, really, and the new one is so thick I feel a bit like the Princess and The Pea. Although I’m clearly not a princess, because I can’t feel any peas. It’s heaven to sleep on, just heaven. And I have a “side sleeper” pillow, which has a raised edge for one’s head, so that one’s shoulders don’t get crunched. It feels quite hard to start with, but is surprisingly comfortable. And my shoulders aren’t crunched. I’ve signed up to Twitter. I really wasn’t sure what it was for, or why anybody would do that, but it’s actually very interesting. It all depends on which people you “follow”. I’m “following” Solihull Police, who have a very wry sense of humour, and tweet useful things like “the roads are very icy today” or “Solihull is gridlocked, don’t go there” and when they’ve arrested someone actually committing a crime, or somebody they’ve been after for a while. There is a real sense of community. Also I “follow” those friends who are on Twitter. I don’t “tweet” much, because my stuff is more for facebook. Twitter seems more newsy, or at least news-based. Not much of a tweeter, more of a lurker. Trying to get everything organised before my op – once I’ve had it done, I won’t be able to drive or anything (like get dressed without help), so I want to make enough cakes to put in the freezer and last us a while, including one of those fabulous fruit cakes (sans marzipan though), I want to fit my friend’s computer memory (1 minute job, but not possible after op), and I’ve been busy buying full length skirts. I don’t see how I could manage jeans with only one hand, and going to the loo would be a nightmare, so have decided pull-on maxi skirts is the way forward. Trouble is, they’re quite hard to find. Managed finally to source a few, ordered size 12 and 14 in the various styles to save on postage – most of the online retailers don’t do an exchange service, so you order something, find you don’t want it for whatever reason, send it back, and then have to pay postage again for something you do want. Solution – order everything you might want in one go, and return what you don’t want. That has worked for the most part. However, two skirts from one online retailer (who shall for the moment remain unnamed), when washed before taking up (everything always needs taking up, I’m 5′ 3″ tall/short) shrank several inches. Now one of them has shrunk from trailing on the floor to just the right length. I’ve kept that one. The other one shrank from just above ankle length to just below knee length! so that one’s gone back as faulty. Honestly. If the other one shrinks again, that will go back too. Finally, finally, finally! the hospital have phoned today and I’m having my hands fixed on the 7th February, as a day case. Hooray. The pain has been getting worse, and I’ve really been struggling with it. Medication, cold compresses, hot compresses, Biofreeze gel, you name it. Fortunately I will have been able to finish the craft room – all furnished but I need to hem and line the curtains, and there will be enough material to make two matching cushion covers out of the curtain fabric, so that will look nice. Went and had my eyes tested yesterday – no change in the prescription, but I have the beginnings of a cataract. So that’s why my sight hasn’t been quite as sharp as I’d like. I’ve ordered new glasses anyway . . . Jasper Conran 50 and Gok Wan 08 for my sunglasses, if you want to google them. For some reason, they’re both considered men’s glasses, but were displayed in the women’s section at Specsavers yesterday. Anyway, they’re just the job, and a little bit different from my usual. More geeky. Stitch tonight. Hooray! I should really be hemming curtains right now, but we have heavy snow predicted for tomorrow and Saturday, so there will be plenty of time to do those things. 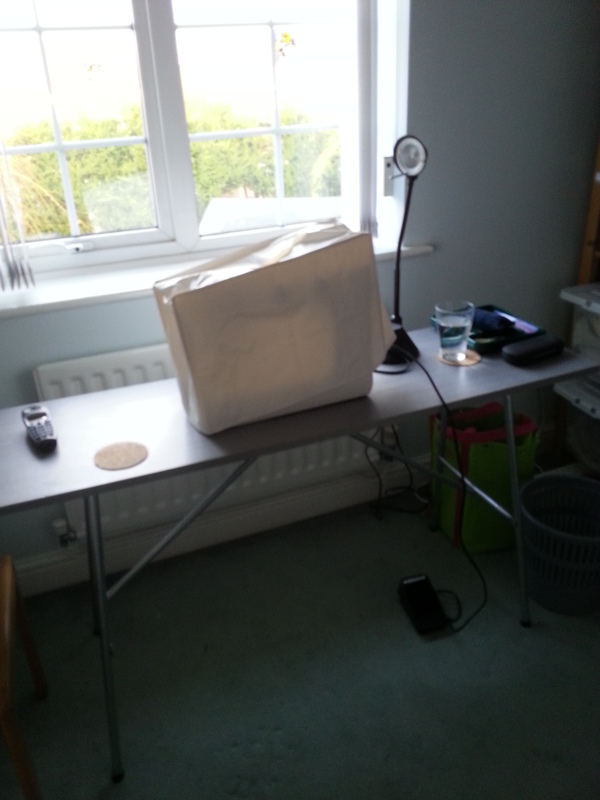 I’ve decided I’ll hem the curtains – one job. 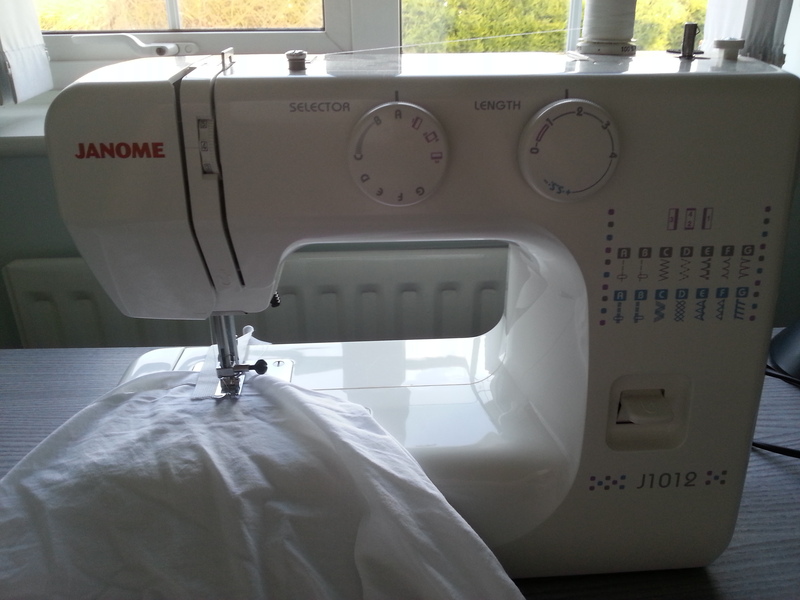 Make linings – another job. 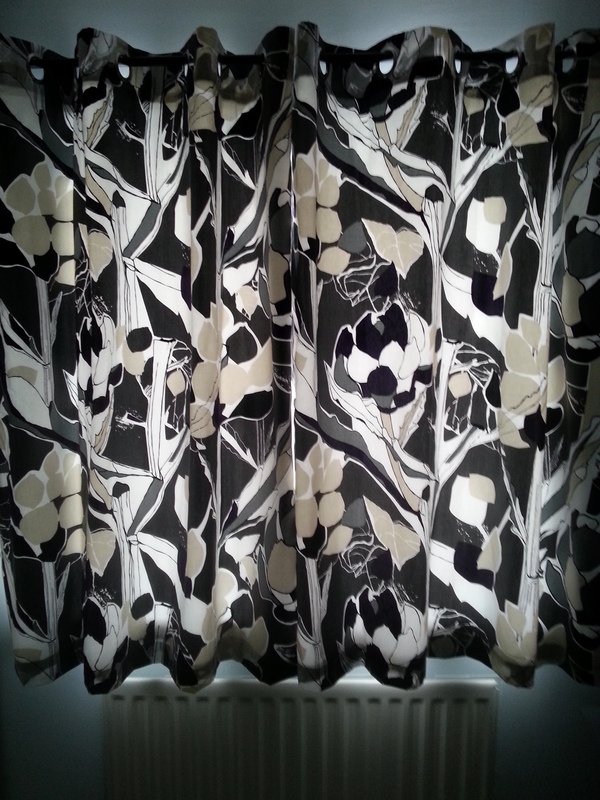 Fix linings to curtains – another job. 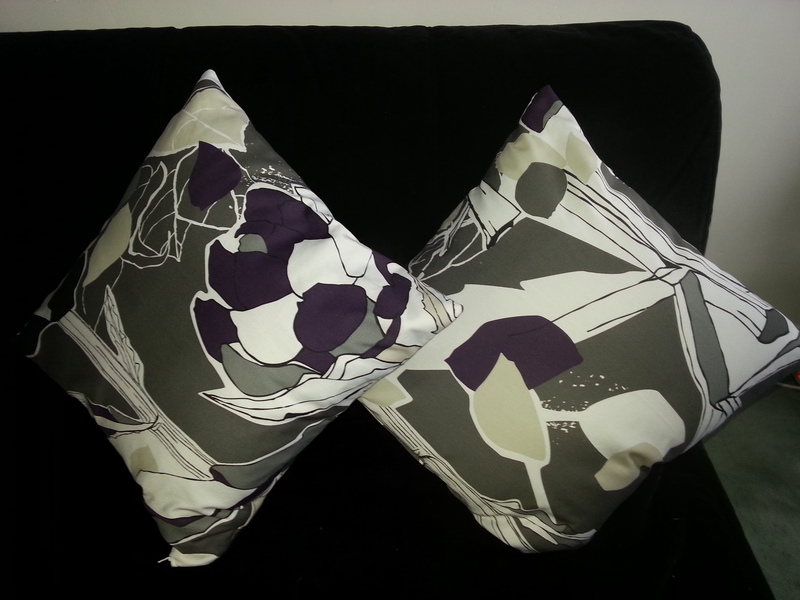 Make cushion covers – another job. That way they’re bite sized, and not such a marathon. Partly to deal with my energy levels, partly to help with the painful hands. Will post photos when it’s all done . . .
It’s very cold today, and was yesterday. Not expected to get above freezing point. So I’m very pleased to be inside our warm house. That’s about it for today – just had to share the good news about my surgery! Things have moved on a little since my last blog. I have finished decorating the craft room – although it was a major task for me, and took several days. I could only manage 30 minutes per day, and then I was absolutely exhausted, and needed 3 or 4 hours sleep in the afternoon – and woke up in exactly the same position as I went to sleep in! 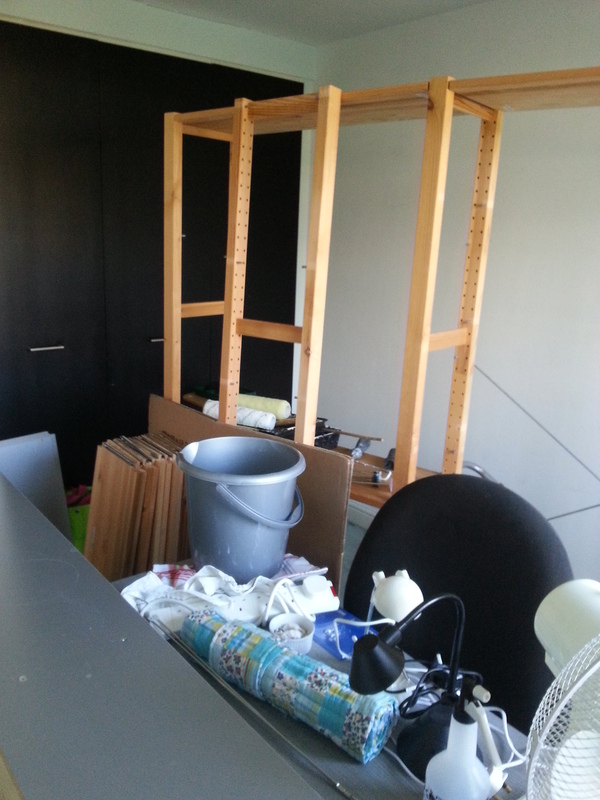 I needed hubby’s help to move shelf units about, but once that was done, it was relatively easy. 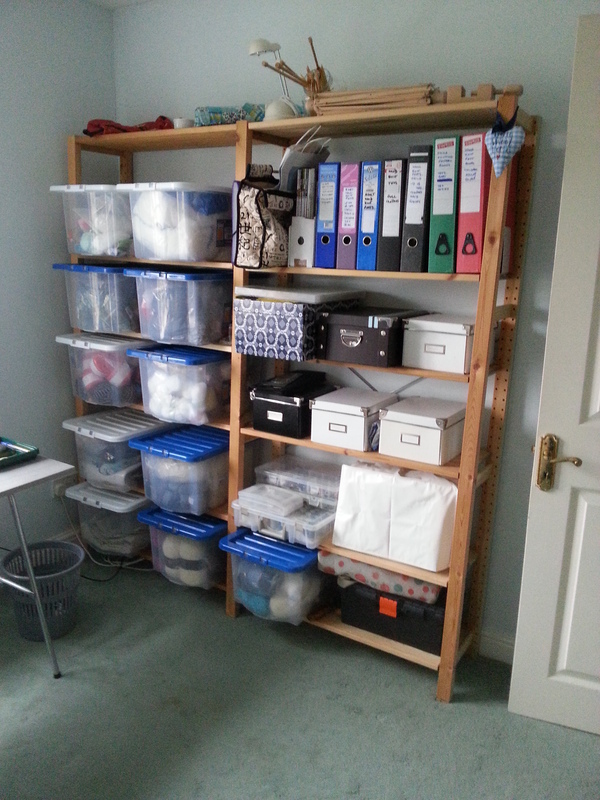 I’ve moved all my craft stuff upstairs – again with hubby’s help – and it’s meant that there is a lot more space downstairs. All my sewing stuff, cross stitch stuff (not yet used! ), all my card making things, all fitted in the craft room. Next job – Ikea to get a sofa bed and some curtains. Sounds simple, but has taken hours of research on their website, and measuring up in the craft room. I have a list, which I have done in a spreadsheet – god I’m such a saddo – so that it automatically adds up the cost as I add/remove things. There may be more photos when we’ve got everything from Ikea, and it’s all set up. I have been treating myself most nights to a slice of the absolutely delicious fruit cake I made before Christmas. I actually made two, and froze them in slices, because nobody except me likes it. It’s dried fruit, soaked in orange juice overnight, then some self raising flour added, and because it was Christmas I added a slice of marzipan in the middle of each cake, as if it were a Simnel cake. It’s just delicious. I get it out of the freezer at lunchtime, and think about it all afternoon and evening until I just have to eat it, about 8 pm or 8.30 pm. Lovely. But will refrain from making any more until March I think, and minus the marzipan, delicious as it is, so that I can make that the Christmas version. The cat has to have her meals in two parts – 1/4 of a sachet each part, so her breakfast makes 1/2 a sachet, and so does her dinner. We have to leave at least 10 minutes in between each fraction of a sachet, or she wolfs it all down and vomits it all back up again, and is then hungry and skittish for hours. And that happened tonight. I’m just about to give her some more biscuits and hope that shuts her up. 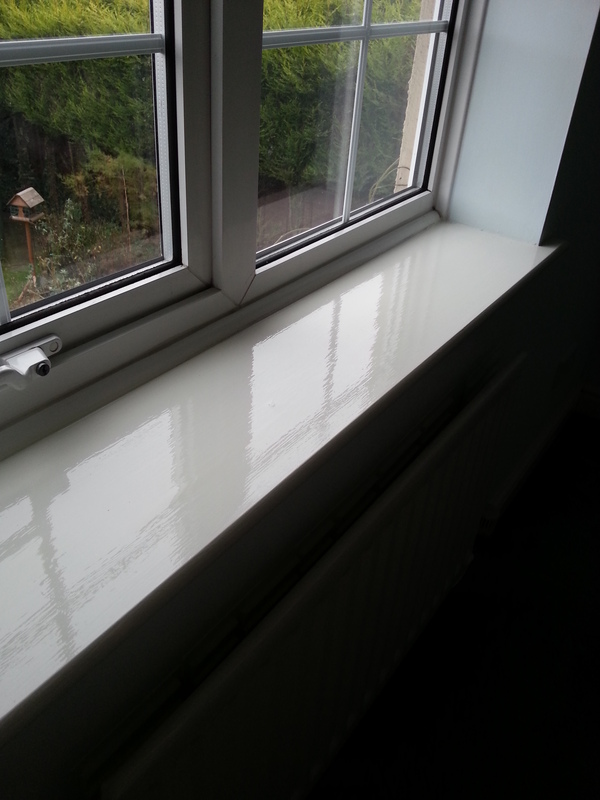 Pain in hands – dreadful when I was decorating, but has eased now. Happy New Year folks! If you had an awful year last year, let’s hope this one is better. If you had a good year last year, let’s hope this one is better anyway! We don’t stay up to see the New Year in any more. It seems to me it’s so arbitrary, just another day, and although there is some symbolism in the turning of the new year, it’s a construct and doesn’t mean a fat lot. Hubby and I went for a walk today in the sunshine. It was cold, but very pleasant. We live very close to countryside, so walked round the graveyard of a little church, then down the canal path until it got too wet underfoot. It was just beautiful. Blew all the cobwebs away. Last night we let the cat have the run of the house. She’s normally confined to the kitchen/utility overnight, but as there were very noisy fireworks going off all over the place, we gave her the choice of where to sleep. Of course she chose our bed and snuggled up next to hubby. About 5 am this morning she was awake, but quiet, pottering about and investigating our bedside tables. Bless her little heart. I feel quite New Year-ish, and looking forward to whatever happens this year, at the same time I am a bit fed up with the pain in my hands and wrists. I’m still taking 2 x Tramadol 3 times a day, and 2 x Paracetamol 3 or 4 times a day, so it could be worse, it’s just a nuisance really. However. I am about to embark on the Craft Room Project. It has been ongoing for a while now. The knitting machines and all the yarn has now gone, so it’s as empty as it’s going to get. The huge grey Billy bookcase from Ikea will have, in due course, a home, and hubby has filled all the holes in the walls. I have bought some of the paint, but now need some white paint and some sugar soap so I can wash it all down before I start painting. There’s no rush except for my excitement really, but I will have to be careful because of my energy levels (or lack of them!) and my back, which doesn’t like me doing any decorating. When it’s all done, we’re off to Ikea to get various bits and bobs – some fabulous curtains and matching material for cushion covers, possibly more Ivar shelves, and then it’ll be done! In the meantime I’m off to see my friend Sylvia tomorrow and look at her recalcitrant computer. Thursday it’s Stitch group, Friday it’s hairdo. But I might get some done at the weekend. Have bought some new tops from Boden, half price in their sale, which are fab, and a new Nica tote bag which is absolutely fabulous. I don’t have a thing about shoes particularly, because of my wonky feet, but I do like handbags. I currently have four. One Radley, one Ted Baker, the Nica, and a no-name one which is just ok.
My favourite coat, a red knee length warm parka from Lands’ End, has a broken zip, which is a real pain in the neck. I can’t find anything I’d like to replace it, so will just manage. I do have a number of coats of varying types, so I’m sure it’ll be fine. It’s just that I love the bright red, it’s so cheering in the winter. Never mind. I won’t be cold. Must get to see my new great-nephew and my niece soon. I’ve joined Twitter. I wasn’t that sure what it was, but I do like it. I don’t “tweet” very often, but follow various people, mostly friends, and Solihull Police, which is very interesting! they do jokey stuff as well as telling us the small stuff, like they’ve made 13 alcohol-related arrests over the past couple of days. Don’t get this alcohol thing. I don’t drink alcohol, and when I did, I hardly ever got drunk, and never ever drove. My worst drinking incident happened when I was 42, and played a stupid, stupid drinking game. I’ve never been so drunk before or since, and never had such a long hangover. I lost half a stone, and never did it again. Now I don’t drink alcohol at all, and don’t miss it one bit. It makes me feel ill, tired and low, so I’d just rather not. I drink tap water all day long, approx 1.6 litres each day, and two cups of tea, and one cup of decaffeinated coffee. Have started wearing a little bit of make up each time I leave the house. Just blusher, eyeliner and mascara, and lipstick, not the full works with foundation and everything. I do feel a bit better for it. Time for some new spectacles – I have to have my eyes tested every year anyway, and it’s time. And on the walk today I couldn’t see some ducks, which hubby could see easily. Ha. New Year’s Resolutions? be less stroppy, kinder, and stop getting so angry about religion.